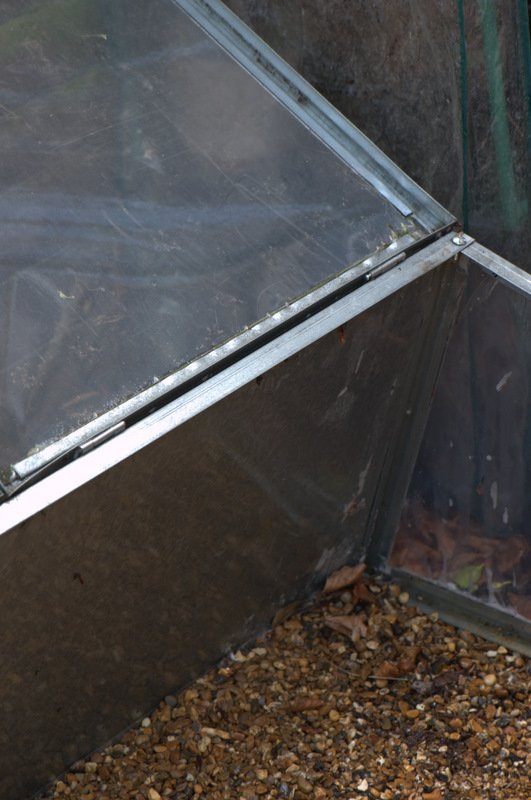 When are you cleaning you green house or cold frame this winter? Probably not the most glamorous of tasks completed each year but one worth investing some time and elbow grease in is cleaning stuff. That’s cleaning your tools , soaping down your green house and/or cold frame, repairing wheelbarrows and equipment and emptying out “The Readies” from the compost heap. Winter is a good time for this of course as there is plenty more time (ha ha ha) in our calendars with the planting, pruning, propagating, admiring end of things on the quiet side. I usually have great plans at the beginning of winter, this year December, and often end up scooting towards Spring trying to fit it all into one weekend. Not this year! My tools are cleaned, sharpened and ready for action and last weekend it was the turn of the cold frame and free standing mini greenhouses. I had help from my nosey puppy who ended up getting wetter than the cold frame and muddier too. Perhaps not something for her to participate in next year. 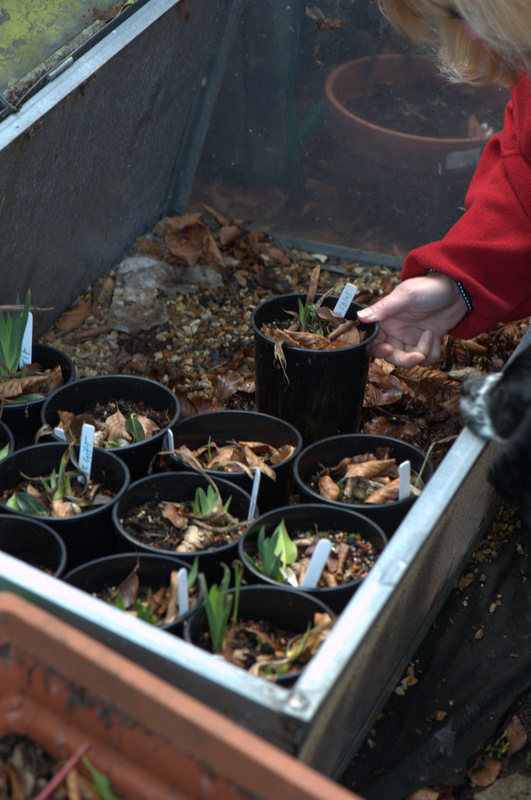 The recent upturn in temperature and the burgeoning feeling of spring arriving made the task more vital to complete. 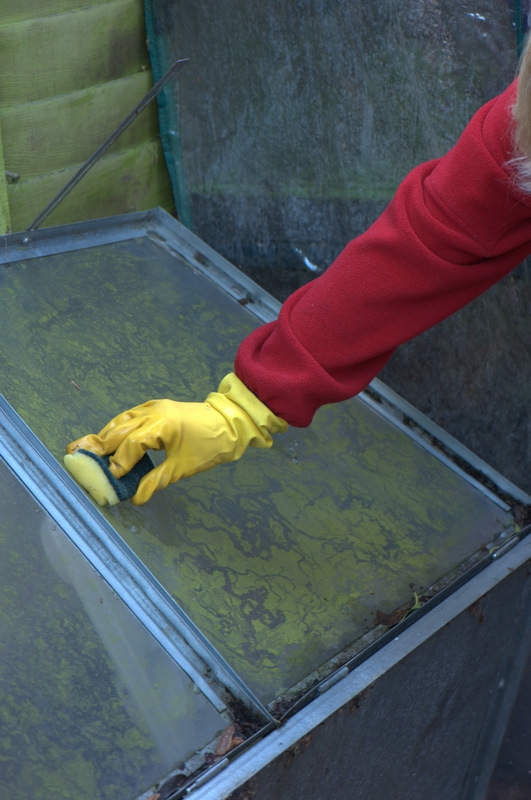 All this cleaning has obvious benefits in terms of disease prevention and reducing the transportation of muck about the place and of course with the green house / cold frame in terms of maximising light and warmth to the plants on the inside. Over the winter many plants have gathered into the cold frame, mostly to protect them from greedy fat grey squirrels hunting a mid morning snack. With the top mostly down for 3 months and nothing much in the way of consistent freezing temperatures rather nasty slimy algae has taken up residence on the inside of the panes and some considerable leaf litter has wafted down curtesy of a rather beautiful but very leafy nearby Beech tree. All in all it’s looking in need of attention. This year we didn’t have the cold really so the bubble wrap hadn’t come out to insulate the plants inside. If you’ve insulated your cold frame (or greenhouse) then take this down before attempting to clean. I hose mine down and dry it on the washing line before folding it away for next year, yes I am frugal. 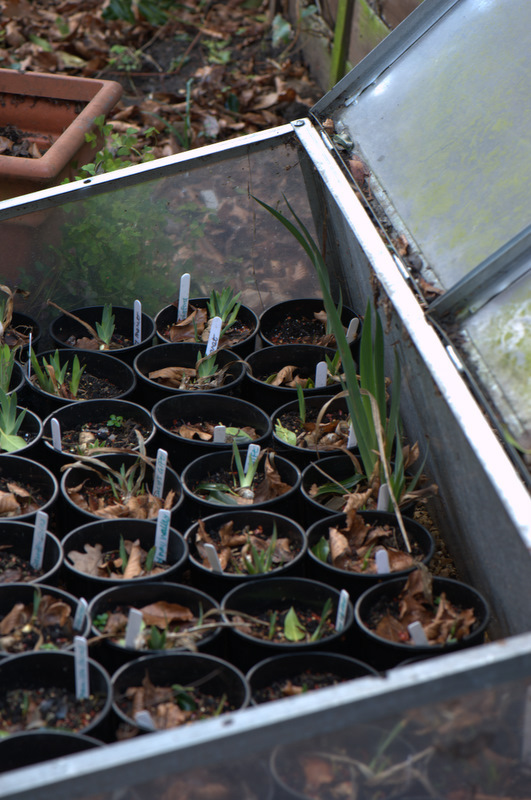 Empty the cold frame being careful not to damage delicate plants, we did this on a warmer day so they weren’t shocked into dormancy again by the outside temperatures. Poppy (the puppy) felt it important to help with this task, sticking her nose in to smell each pot as it came out, not really helpful, but amusing. I’ve covered the base with 10mm pea shingle over some black horticultural fabric to help drainage and suppress weeds but it also acts as a bit on bottom insulation too. 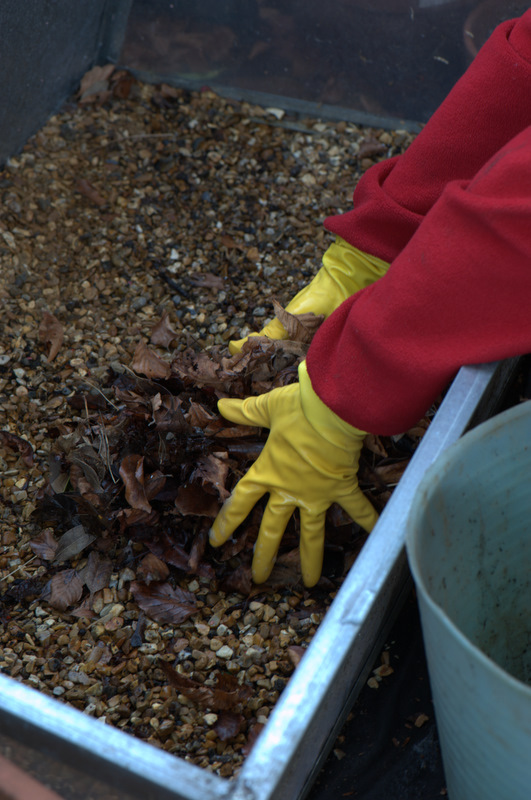 Once empty we raked up the leaves and debris, gathering them into a large bucket ready to go onto the leaf litter heap. We also found one or two snails lurking in the bowels of the frame so they were duly popped onto the bird table, providing lunch for the local hungry blackbird. A good clean also helps clear out overwintering pests such as red spider mite, aphids, mealy bugs and of course disease such as botrytis and mildew. 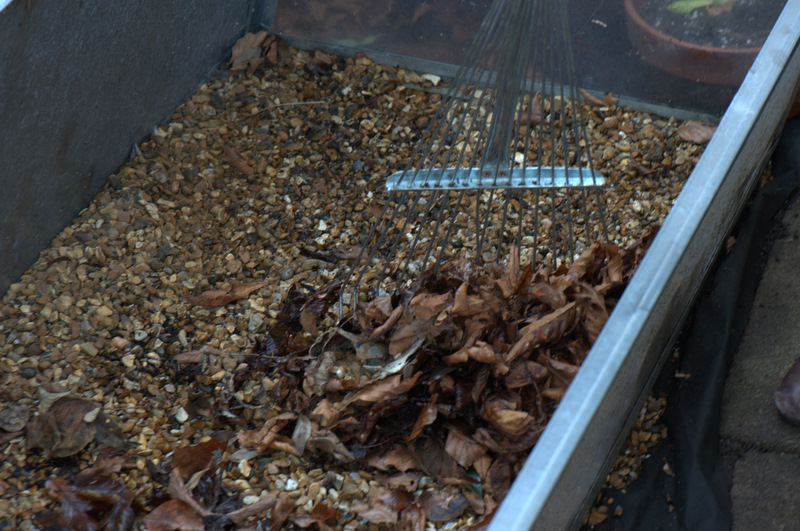 Cleaning out the gutters between lid and base eases the lifting and closing. 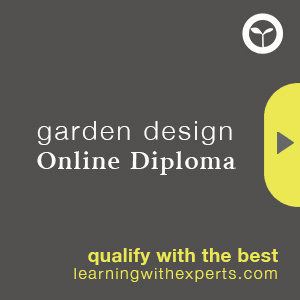 For a green house, sweep down benches, rake over gravel and soil and sweep out debris collecting it into suitable rubbish containers. Use the spongey side of cloths as you don’t want to scratch the transparent surface. Then the messy bit starts. I used warm soapy water and an old kitchen cloth, being careful not to scratch the surfaces and so reduce light entering the frame. The detergent was an ecological brand with no harmful chemicals to leave a residue, no brands mentioned but you know who I mean!. Make sure you wash the metal bits down too and the outside as well as the inside. 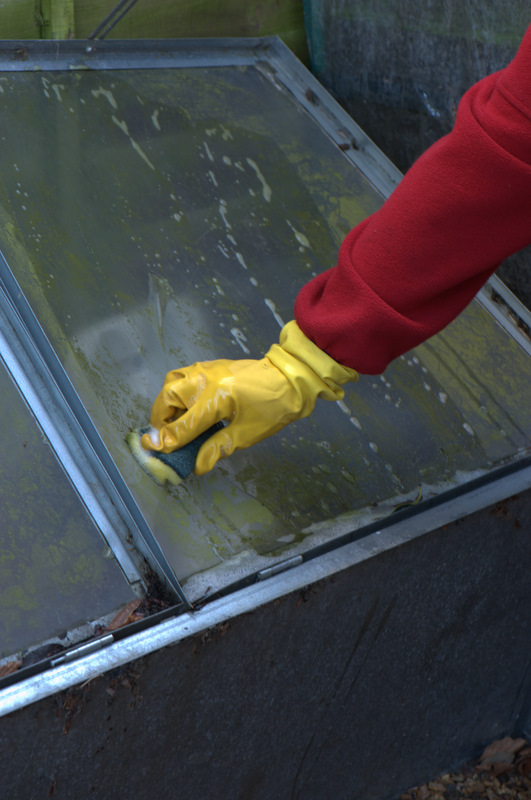 My surfaces were not big enough to require a squeegee scrape but if you have large panes then a window cleaners scrapers is great for getting all the drips off and windows sparkling in the sunshine!. I have used vinegar before (1 vinegar :8 water) to clean the windows but the smell is ghastly even though it evaporates quite fast, it is an option though and works really well on glass. After all the green gunge had been removed, cold water was used to sluice it down, washing entire frame inside and out. Poppy decided leaping in the chilly back-wash was the most fun she had had that day, clearing her muddy paw marks from the kitchen floor afterwards was not mine. With a cleaned up, de-cluttered cold frame ready for use I found some worthy inhabitants in the form of autumn planted sweetpeas and some fresh seed trays of tomato, brussel sprout and beetroot. Now it just needs to warm up some more and the growing season will be upon us!